NECA have just announced a new set of Diablo III models including El’Druin – the Sword of Justice and a deluxe Lord of Terror figure. 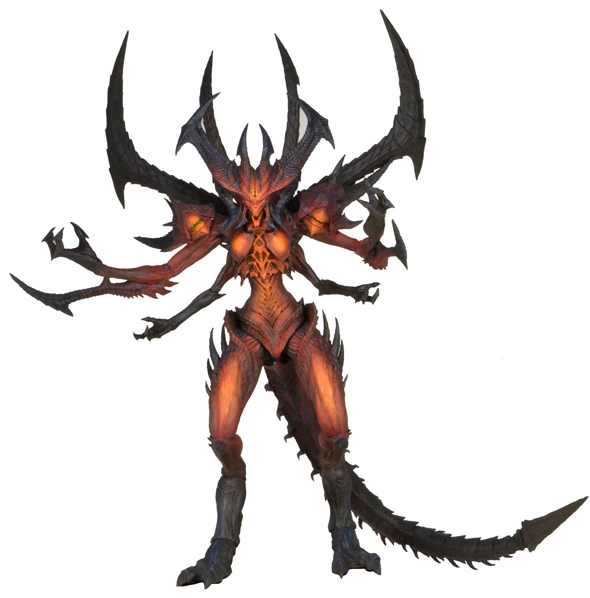 The Diablo model stands 9″ tall, or with the poseable tail in the picture a full 12″ long. Each model is hand-painted and has more than 25 different points of articulation. The design is a collaboration between Blizzard’s Brian Fay and NECA’s own Alex Heinke.